Mike Leake looked sharp in his first outing of the spring with two shutout innings. Chicago took the lead in the eighth against reliever Mike Morin. The Mariners scored all three of their runs in the fourth inning. Braden Bishop plated the first run on a sac fly to right field. Andrew Romine later added a two-run single to center for a 3-1 lead. The White Sox took the lead for good in the eighth inning, rallying from a 3-2 deficit with two runs off of Mariners’ reliever Mike Morin. Reliever Nick Rumbelow left the game with a cut/ripped skin on the thumb of his throwing hand. Making his first appearance of the spring in the top of the ninth inning, Rumbelow gave up a run on three hits with a strikeout. Evan White, the Mariners’ first-round pick (17th overall) in the 2017 draft made his Cactus League debut in the later innings. He went 0-for-2 at the plate, but showed his real strength — defensive ability at first — with a brilliant stretch and pick-up of a shorthopped throw from shortstop Zach Vincej. The Mariners made a series of outs on the bases including mistakes from Taylor Motter and John Andreoli. 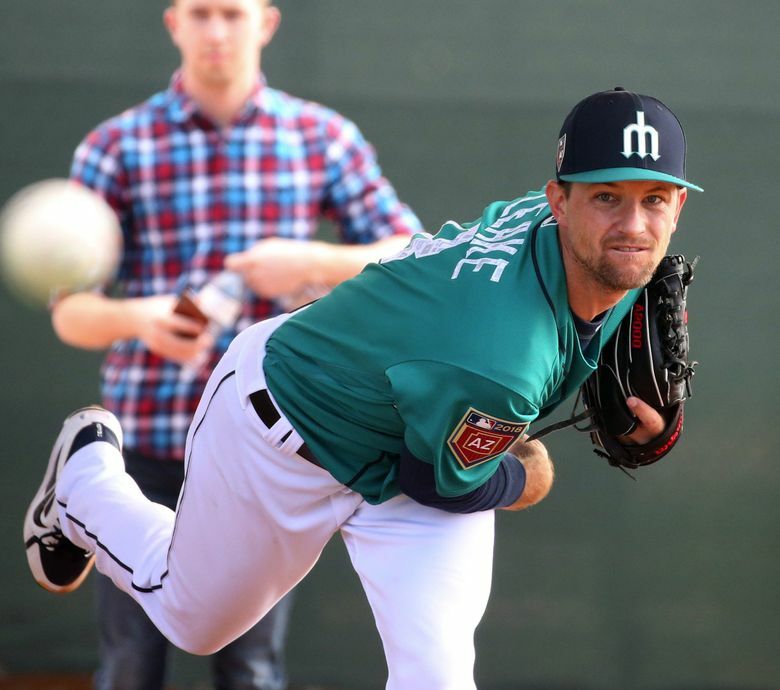 Mariners starter Mike Leake looked sharp in his first outing of the spring. The veteran right-hander pitched two innings, allowing just one hit and not much hard contact. “We made a couple too many outs today on the bases. It’s something we’ve talked about. And we want to be aggressive, but our decision-making has to be better.” — Mariners manager Scott Servais. The Mariners will host the Los Angeles Dodgers on Sunday afternoon. Lefty Marco Gonzales will get the start for Seattle. The Dodgers have not announced a starter for the game. First pitch is set for 12:10 p.m. Pacific. The game will be televised on Root Sports and will be broadcast on ESPN 710 and mariners.com.